I like the way Tim Winton describes a painting as a window. I found many windows at the NGV’s ‘Masterpieces from the Hermitage: The Legacy of Catherine the Great’ when I visited the Melbourne gallery this week. German born Catherine the Great (Catherine II) came to power in 1762, aged 33, and ruled Russia for the next 34 years, until her death in 1796. She saw herself as a Philosopher Queen, a new kind of ruler in the age of Enlightenment. 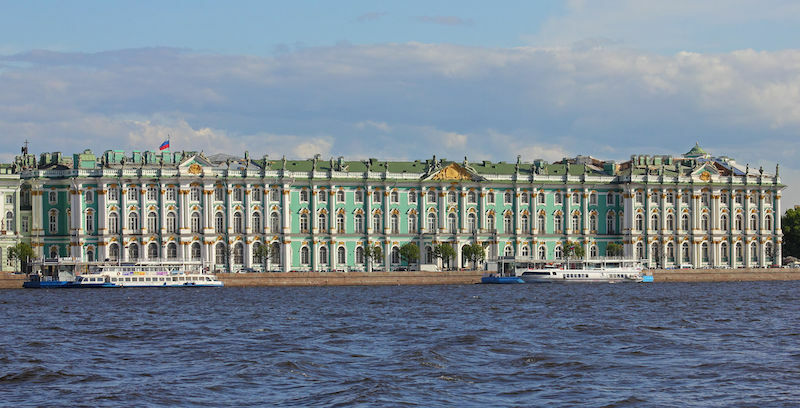 The paintings on display here represent just a minute fraction of the Hermitage Museum’s 3 million objects in its collection at St Petersburg. Each painting is a window into the life of Europe in the 18th century. This painting was of particular interest to me. Commissioned in Rome in 1770 by Ivan Shuvalov at the request of Catherine the Great, it commemorates the Russian fleet’s victory over the Turkish squadron in the Bay of Chesme in the Aegean Sea on the night of 7 July 1770 (incidentally, at the same time that Cook was ‘discovering’ Australia for the English). 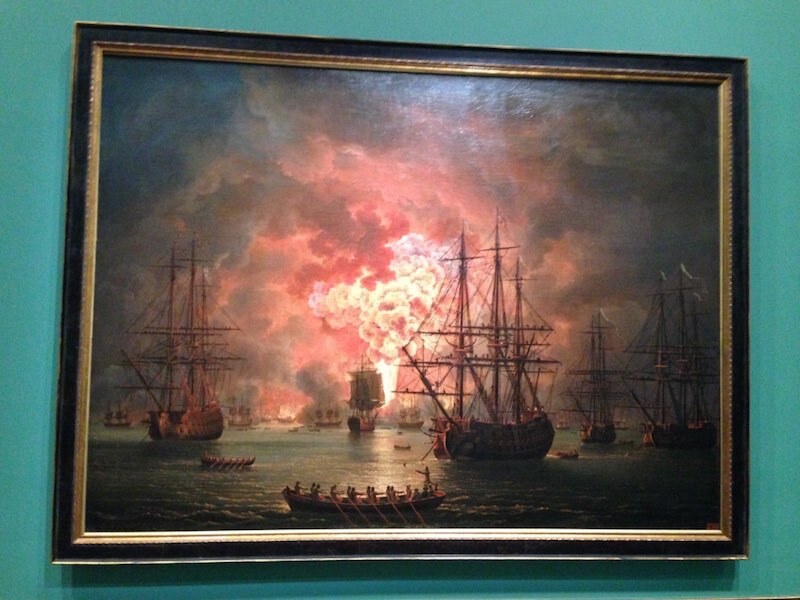 Because the artist Jacob Philipp Hackert was not present at the Bay of Chesme event, he relied on advice from those involved and used specially produced maps of the location; a Russian ship was also exploded for his benefit in the port of Livorno. In 1772 the completed painting was sent to St Petersburg together with Turkish military trophies. But the greatest window that opened for me at the exhibition was that of the life of Catherine the Great herself and of her place in Russian and world history.